What does it mean to Opt-out a European patent from the jurisdiction of the UPC? §. What is an “Opt-out”? The opt-out is the procedure by which proprietors or applicants for a European patent can withdraw their patents from the exclusive competence of the Unified Patent Court. Only European patents granted or applied for before the end of the transitional period can be opted out. It will thus not be possible to opt-out European patents with unitary effect or Unitary patents. §. What happens once the patent is opted out? Once granted the opt-out will take effect in all participating Member States, and the opted out patent will be removed entirely from the jurisdiction of the UPC. A European patent opted out will thus be under the exclusive competence of national courts. This means that national courts will be the sole jurisdiction before which -for example- actions for infringement or for revocation of the national part of a European patent can be brought. However, during a 7 year transitional period after the entry into force of the UPC Agreement, the UPC will share jurisdiction with national courts over actions for infringement or revocation of a European patent. Hence, any holder of or applicant for a European patent will be able to initiate actions before national courts. This will be possible regardless of whether the European patent or application concerned has been the subject of an opt-out. During this period, the UPC will indeed also have exclusive jurisdiction over Unitary patents. §. 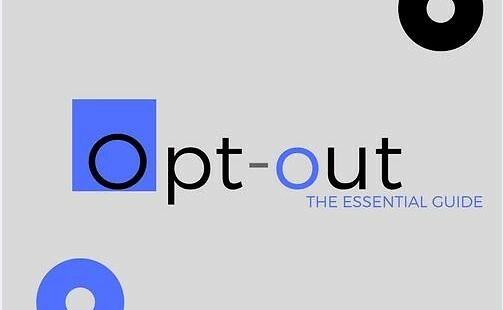 When will the opt-out be allowed? European patent owners will be allowed to opt-out from the start of the sunrise period up to the last month before the end of the transitional period. In other words it will be available from 3 months before the UPC Agreement entry into force to at least 6 years and 11 months after the entry into force of the UPC Agreement. §. What are the provisional application phase and the sunrise period? The Provisional Application Phase is scheduled to last for 6 months. The last 3 months, also known as the sunrise period, will specifically allow European patent proprietors to start opting out. The beginning of the Provisional Application Phase is not yet known but could start during the Autumn 2017. §. What is the transitional period? The transitional period is a renewable 7 year-period. During this time the UPC will share jurisdiction with national courts over actions for infringement or for revocation of a European patent. If the UPC Administrative Committee does not extend the transitional period for a further seven years, the UPC will then have perpetual exclusive jurisdiction over Unitary patents and European patents. Opted out European patents will not come back in the UPC exclusive competence once the transitional period is over.